Plants provide some of the healthiest form of nutrients for us. Don’t let the cold winter weather stop you from growing plants. Here are 5 plants you can grow anywhere at home. Home grown farm fresh foods have been gaining popularity around the United States recently and for good reason. A lot of people seem to have the idea that you need a big farm land to become a farmer however, you don’t need to own a farm land to become an urban farmer. There are many ways in which someone can learn how to grow plants in their own garden or backyard. Even if you are a city dweller, you can still grow a number of plants at home, either for your own consumption or if you want to make some extra cash selling home grown food to your neighbors. Some of the most successful urban farmers are growing food right at home, in their backyard garden, or any available space around their homes, such as on rooftops, balcony, basement, or on window sills. This means that anyone can do it as well you just need to be creative and put in a little effort to make it happen. If you are an urban farmer, don’t let the winter weather stop you from growing your own organic foods. Below are 15 plants that you can easily grow at home in your own home-based mini farm. foods that taste just as good raw as with any of your favorite dishes or salads, so they are a great option to grow in the winter. Carrots contain a wide variety of vitamins and minerals including thiamin, folate, niacin, manganese, potassium, vitamins B6, A, C, K and carotenoids. You can grow carrots in small containers or large boxes, according to your needs. You will need a pot or window box at least a foot and half deep and a foot wide. Make sure to have drainage holes at the bottom. Fill up your container with potting soil and plant carrot seeds. Garlic is a superfood that has many uses in the kitchen. It also adds delicious flavor to your favorite dishes or your salads and makes them healthier at the same time. It also a superfood that’s known to improve high blood pressure and blood cholesterol, improve heart health and fight cancer. Garlic bulbs and garlic greens can be easily grown in pots or containers. They are very easy to grow just follow these steps. Purchase a few garlic bulbs with greens. Fill up your pots or containers with potting soil and plant a few bulbs in them. Break the bulbs in individual cloves with the peel on. Lemon is a wonderful plant that you can grow in flower pots or containers on your window sill. Another plus about growing lemons is that they will fill your home with refreshing fragrance. They are also excellent with your favorite foods and also great for your daily cup of tea. Lemons are rich in vitamin C, they are full of antioxidants, and also known to detox your body. They are also known for their anti-inflammatory and cancer fighting traits. You can grow lemon from seeds or starter plants. Get a large flower pot or container, fill it up with potting soil and plant lemon seeds. If you want to harvest faster, start with starter plants. Microgreens are plants that can be added to a number of dishes for flavor and health benefits. They grow fast and are full of micronutrients for health. They are healthy and tasty source of vitamins A, C, K, and folate. Just get a small container and fill it up with potting soil. Sprinkle microgreen seeds, such as radishes, Swiss chard, kale, beets, dill and basil, evenly. Water your seeds and watch them grow. They will grow within a week. You can harvest them when they are about two inches long. So these are really simple and fast t grow and you can have quick results by trying to grow them. You can grow your own salads at home, for a tasty and healthy snack or add to your favorite meal. They can be grown indoors, all year round, in containers or in flower pots. Salad greens are healthy just like the microgreens. They contain a wide array of nutrients including vitamin C, K, A, iron, and folate. They are superfoods, known to fight cancer, help control high blood pressure and improve heart health. They also help with digestion and help fight cancer. You can grow salad greens at home with starter plants or seeds so you don’t need a lot of materials to make this happen. Choose a planter box, at least a foot and a half deep, fill it up with potting soil, and sprinkle seeds or plant your starter plants four inches apart. Make holes with your fingers and make sure not to damage the roots. Water your plants or seeds and watch them grow. You can grow a number of different plants in a simple to use Hydroponic garden system. You can either purchase a complete system or construct a homemade system that works just as well. Most homemade systems can be put together easily and have good results. It is highly recommended that if and when someone is able to purchase a quality system, it is best to do so. 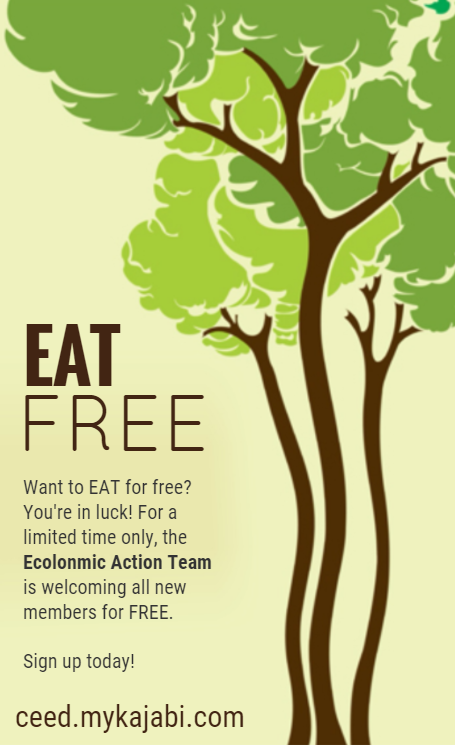 To learn more about agriculture visit our free Ecolonomic Action Team (EAT) page or Click Here to join the Ecolonomic Action Team (EAT) Live Webinar. We’d love to hear from you, so please add your comments in the comment box below or visit our Facebook page. 5 Plants that Fight Disease – Grow Your Own at Home!